Wrapped in a soft cream-colored chenille, the Amorose living room collection combines casual style with unsurpassed comfort. Classic design elements like English arms pair with more contemporary details like exposed wood bases to create an artful balance of traditional and modern styles. 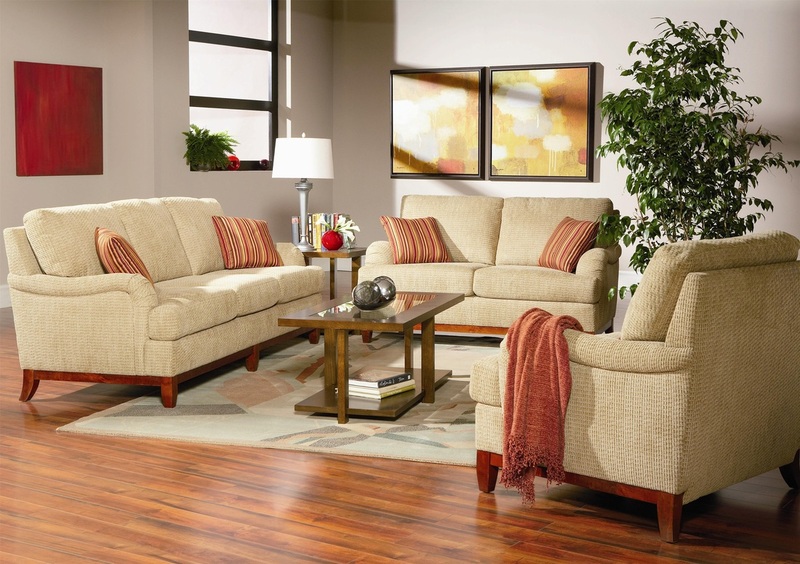 Plush cushions and coordinating throw pillows complete the sofa, love seat and chair for added comfort and style.